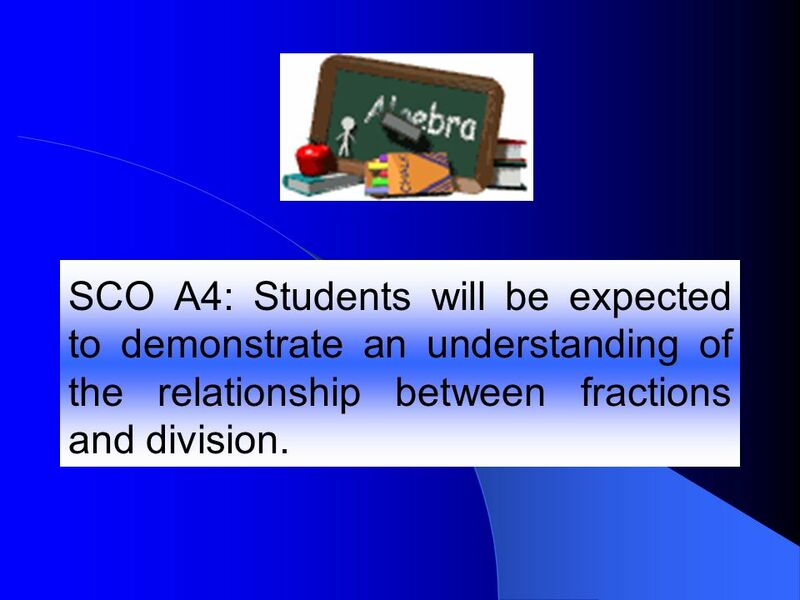 SCO A4: Students will be expected to demonstrate an understanding of the relationship between fractions and division. 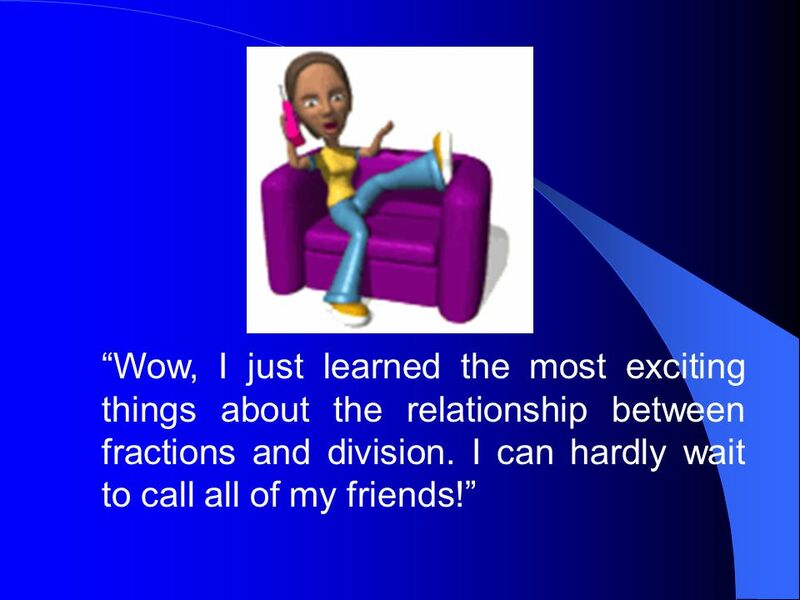 2 SCO A4: Students will be expected to demonstrate an understanding of the relationship between fractions and division. 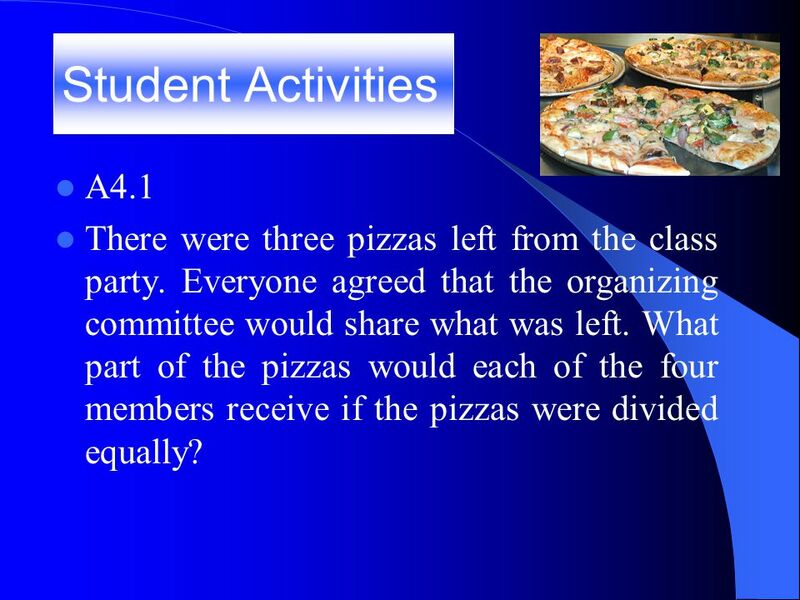 Download ppt "SCO A4: Students will be expected to demonstrate an understanding of the relationship between fractions and division." 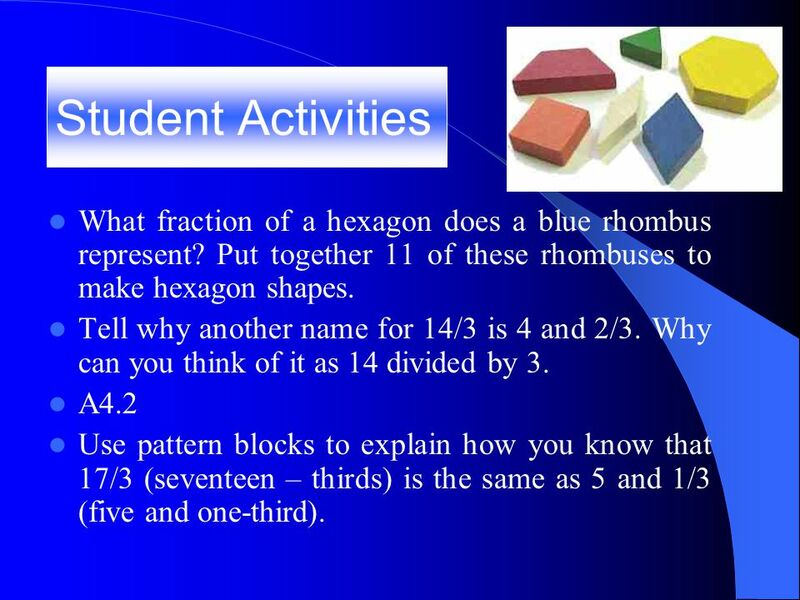 Activity 1 Fraction wall Introduction We are going to look at multiplying a whole number by a fraction. 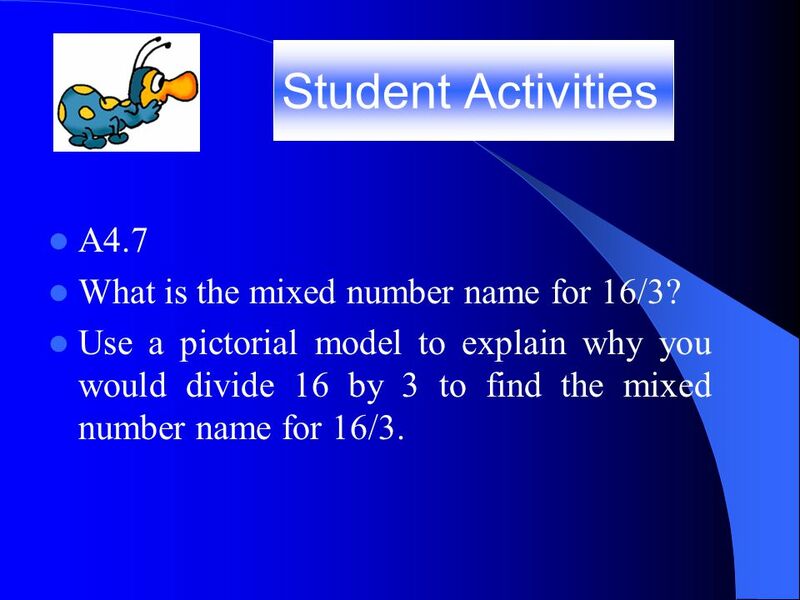 Firstly, we will look at whole number multiplication. 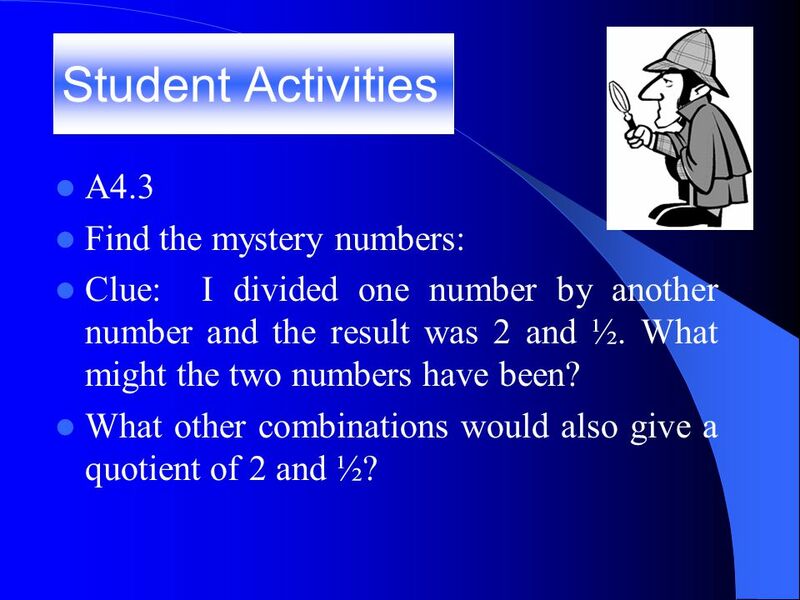 SCO B4: Students will be expected to divide 2, 3 – and 4 – numbers by single-digit divisors and investigate division by 2 – digit divisors. SCO D3 Determine the measures of right angles, acute angles, and obtuse angles SCO D7 Estimate angle size in degrees. 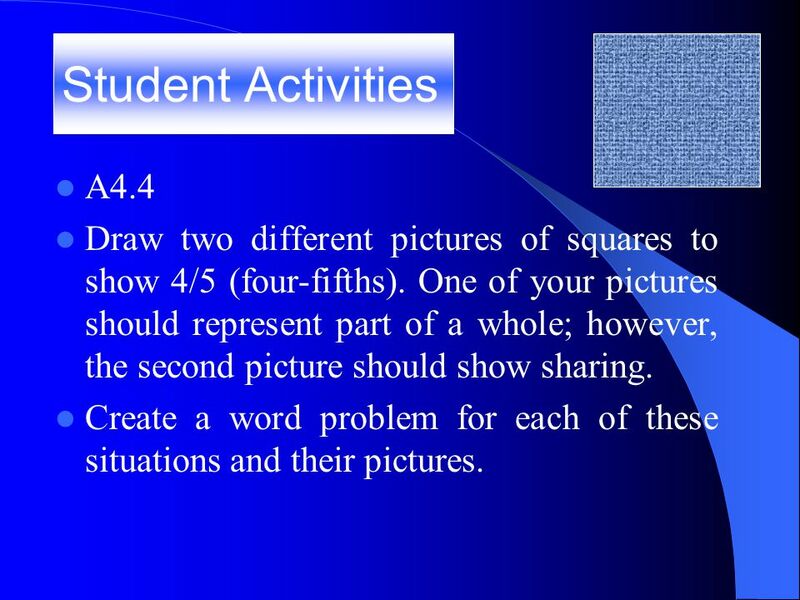 5.NF.3 Dividing Whole Numbers Using Picture Models that Lead to Mixed Number Quotients 7 ÷ 4 = 1¾ 8 ÷ 3 = 2 ⅔ 9 ÷ 4 = 2¼ 11 ÷ 3 = 3 ⅔. 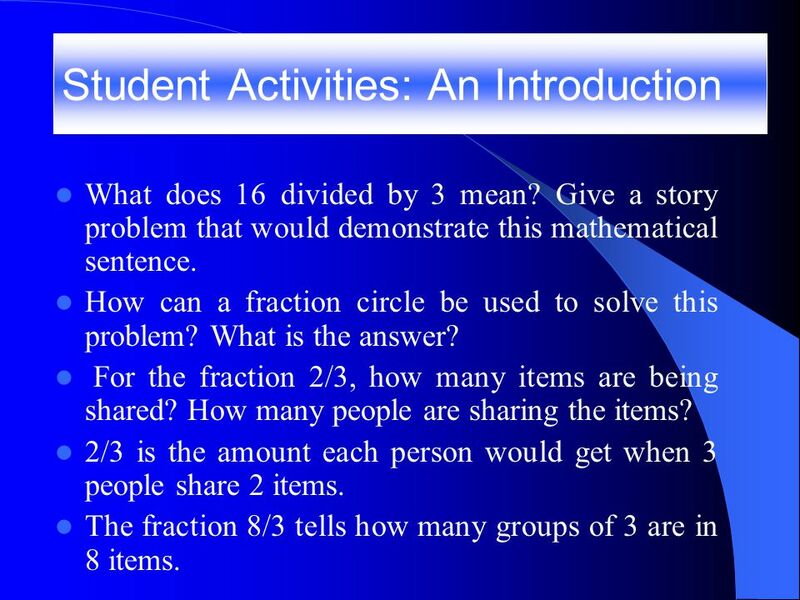 Introduction to Fractions ELED 6550 Summer What is a fraction? 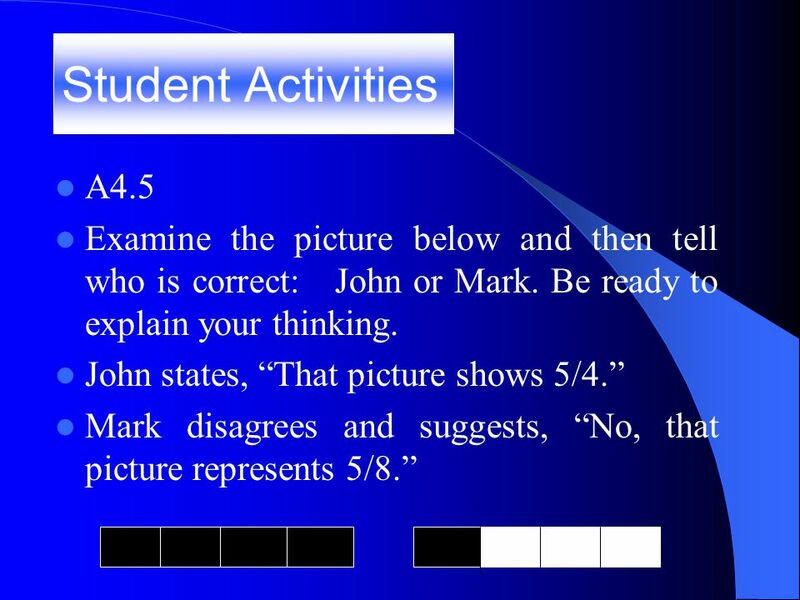 1 st Grade Mathematics Students will have a basic understanding of adding numbers. 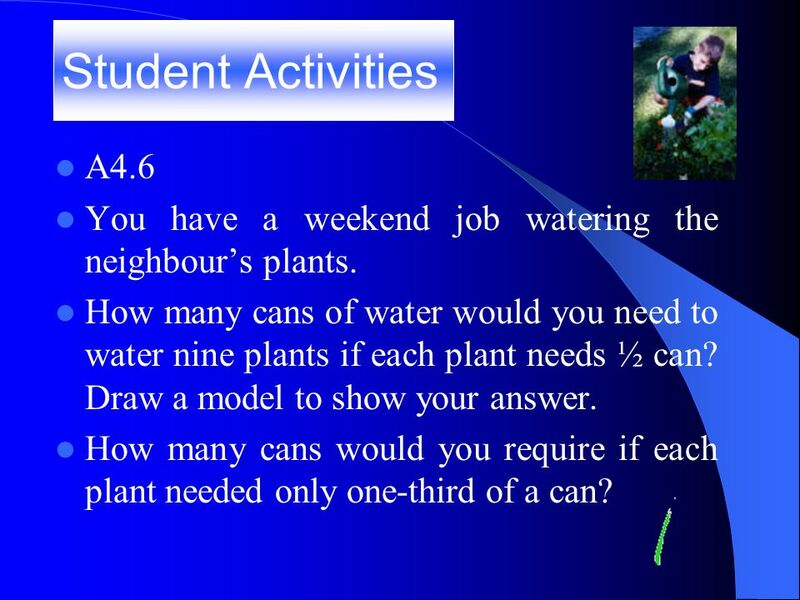 Students will have basic word problem skills. Students will know basic. What are factors?. Factors are numbers that divide EXACTLY into other numbers without a remainder. Developing Higher Level Thinking and Mathematical Reasoning. 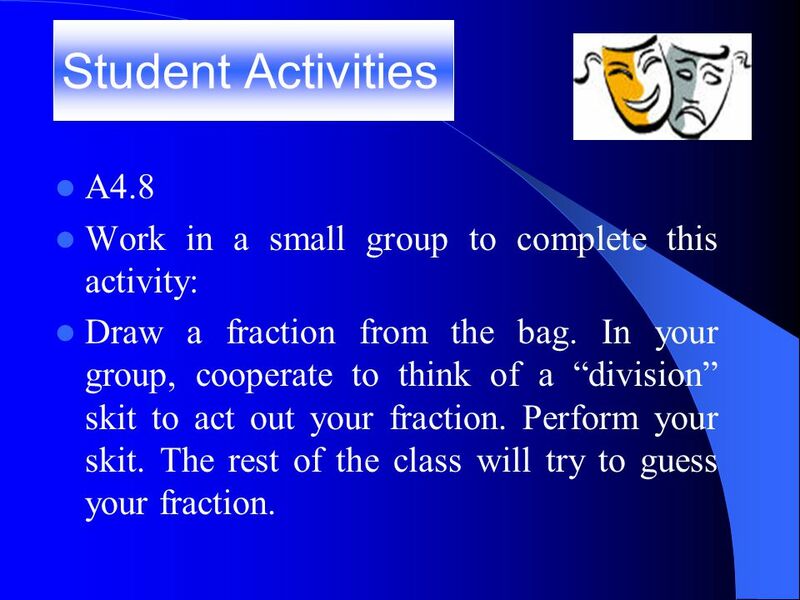 Fractions A Staff Tutorial. Workshop Format This workshop is based around seven teaching scenarios. From each of these scenarios will be drawn: key ideas.